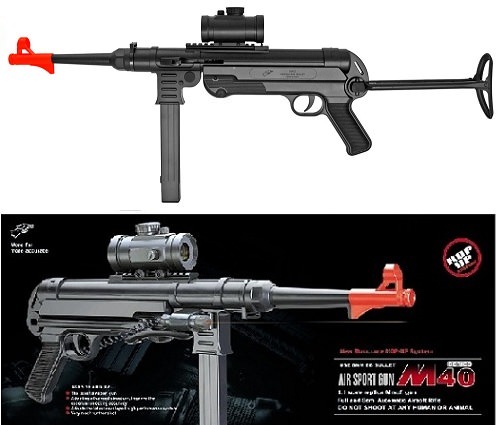 This Gun has the actual feel and look of a MP40, but in this case uses 6MM Ammo. Put your ammo into the spring loaded clip and then slide the clip into the bottom of the gun. Pull back the realistic sliding bolt action cocking mechanism on the right side and your ready to play.